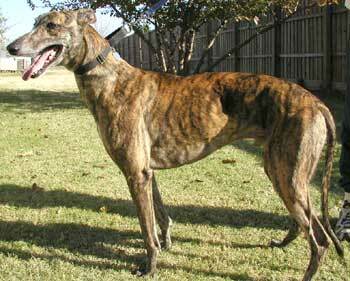 Friday, aka AZ Benny's Dud, is a handsome 4½-year-old brindle male, born March 14, 1999. Friday's grandsire is Oshkosh Racey. His racing days were spent at Gulf Greyhound Park and Victory Lane. Friday holds back a little until he gets to know you, but then is very affectionate and really loves people once he warms up. 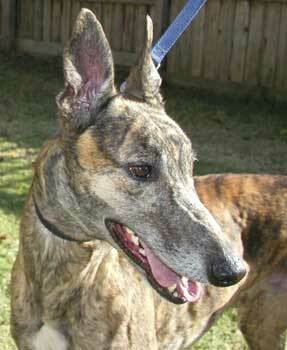 He gets along well with other greyhounds but it is not known at this time if he is small animal or cat tolerant.